“On behalf of Little Hay Golf Club and Rennie Grove Hospice Care, the Club Committee would like to thank you for your very generous donation, and support of the Club and Rennie Grove. 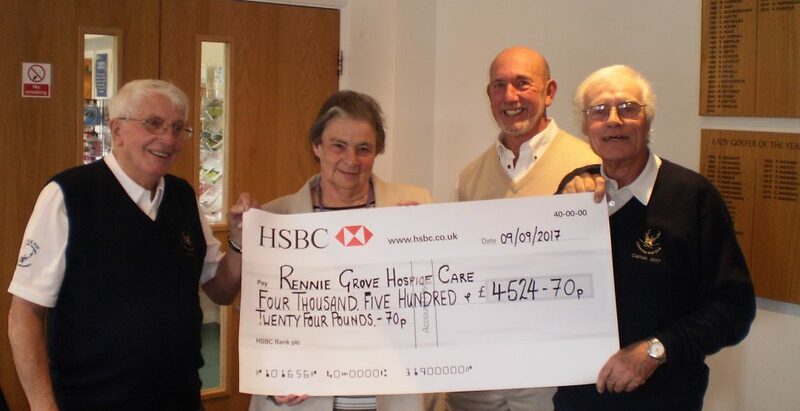 “The main aim of Rennie Grove Hospice Care is to provide help for families with terminally ill children and adults but, like all charities, they need mainly financial help to maintain the level of care they strive to achieve. “Local shops, restaurants, businesses and golf clubs rallied round and made this day a resounding success through their gracious generosity and sponsorship. The Little Hay Golf Club is located in Bovingdon, Hertfordshire. Sharp-aX works closely with the Hospice of St Francis in Berkhamsted.